With the first round of the Dublin Senior Football Championship, the action returns to Hurling this week and the Senior A Hurling Championship takes centre stage. We were entertained by some brilliant games in Round 1, and this week should be no different. And as always, these games are a great chance to keep you in the mood ahead of the Senior provincial championship next month. the eight games over the four groups take place tomorrow April 17th and Friday April 19th. This include as many as two double headers in Parnell Park and one double header in O’Toole Park. So let’s give you all the details. 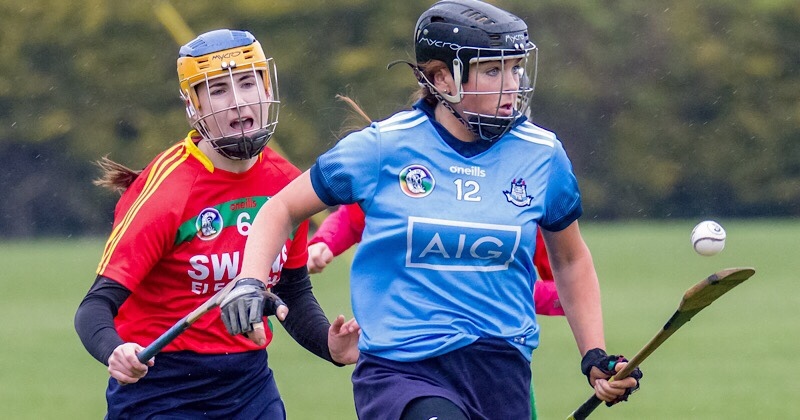 Kilmacud Crokes and Na Fianna started out their 2019 Championship with a stalemate in Parnell Park two weeks ago, finishing at deadlock on 1-16 a piece. Faughs got their campaign off to a brilliant start with a 3-18 to 2-15 against O’Tooles. Coming up from Senior B last year this was the best way to get up and running. Tomorrow night these four sides will play out a double header in Parnell Park, with O’Tooles and Kilmacud Crokes getting things underway at 6:45pm, with Na Fianna and Faughs going had to head at 8:15pm. 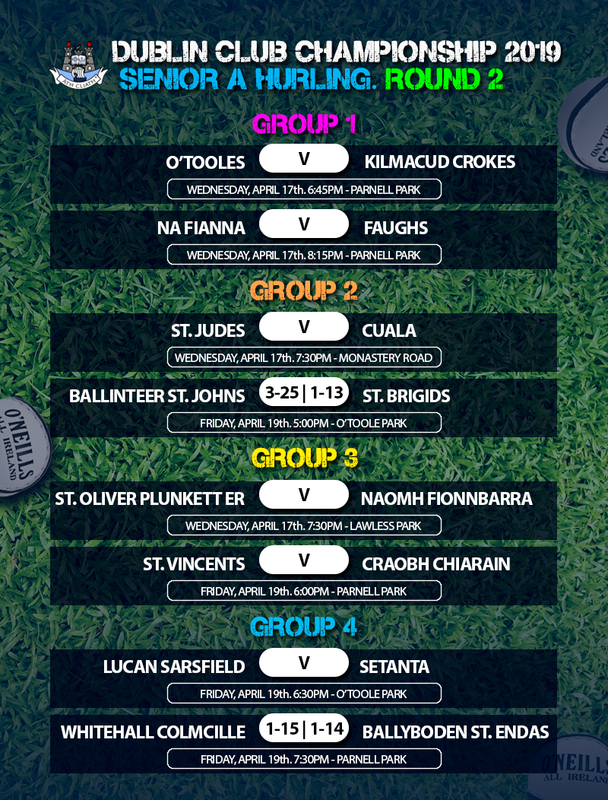 O’Tooles will be looking to upset Kilmacud and get points on the board. Can Faughs continue their winning ways? Cuala got off to a brilliant start on April 6th, with a 3-26 to 1-13 over St. Brigids in O’Toole Park. This week, they go head to head St. Judes at Monastery Road. Judes welcomed Ballinteer St. Johns and sent them packing by 3-22 to 0-15. Ballinteer will be looking to bounce back from that result, as will St. Brigids. And they will come face to face this Good Friday at 5:00pm in O’Toole Park. Wins for St. Vincents and Craobh Chiarain in Round 1 sees these two rival sides go head to head this Friday in the first of two game at Donnycarney headquarters. Vincents were 1-20 to 1-07 winners against St. Oliver Plunkett Eoghan Ruadh in their opening game. Elsewhere Craobh Chiarain raised seven green flags over Naomh Fionnbarra on a 7-22 to 1-06 hammering. Lucan Sarsfield were pipped in Round 1 by a solitary score when they faced Ballyboden St. Endas. Boden were 1-15 to 1-14 winners. This means Lucan will face Setanta in Round 2 after Setanta lost out to Whitehall Colmcille in their opener. Colmcilles were 2-22 to 0-09 winners two weeks ago and will be looking to capitalise on their good form. But Ballyboden might have a different. Just us at the end of this week, when we’ll bring you all the results from Round 2.